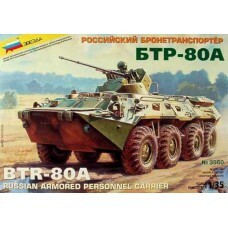 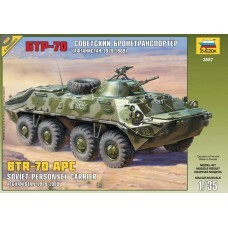 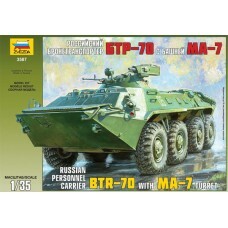 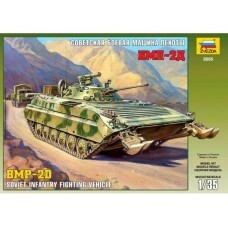 FactsBrand:	ZvezdaTitle:	BMP-2D Soviet Infantry Fighting VehicleScale:	1:35Released:	2007 | Rebox (U..
FactsBrand:	ZvezdaTitle:	BMPT Terminator Russian Fire Support Combat VehicleScale:	1:35Released:	201..
FactsBrand:	ZvezdaTitle:	BTR-70 Soviet Personal Carrier Afghanistan 1979-1989Scale:	1:35Released:	20..
FactsBrand:	ZvezdaTitle:	Russian Personnel Carrier BTR-70 with MA-7 turretScale:	1:35Released:	2012 ..
FactsBrand:	ZvezdaTitle:	Russian Personnel Carrier BTR-80Scale:	1:35Released:	2016 | Rebox (Changed ..
FactsBrand:	ZvezdaTitle:	BTR-80A Armored Personnel Carrier (APC)Scale:	1:35Released:	2005 | Rebox (U..
FactsBrand:	ZvezdaTitle:	GAZ-AA Soviet Army TruckScale:	1:35Released:	2006 | Rebox (Changed box only..
FactsBrand:	ZvezdaTitle:	GAZ-AAA Soviet Truck WWIIScale:	1:35Released:	2007 | Rebox (Changed box onl..
FactsBrand:	ZvezdaTitle:	GaZ-M1 Soviet CarScale:	1:35Released:	2015 | Initial release - new toolType..
FactsBrand:	ZvezdaTitle:	GAZ-MM mod. 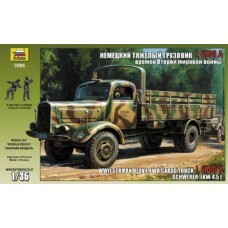 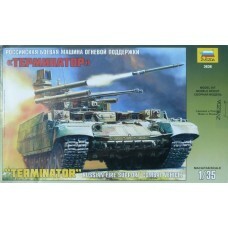 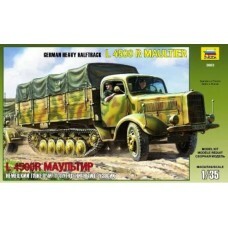 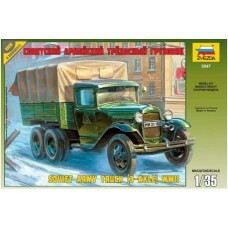 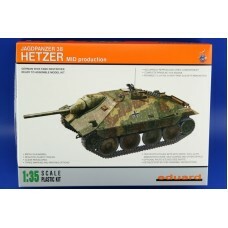 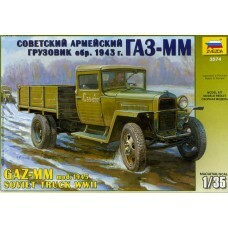 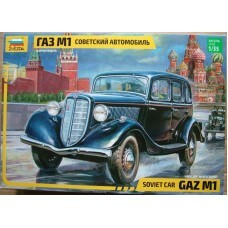 1943Scale:	1:35Released:	2008 | Rebox (Changed box only)Type:	F..
Rare ProfiPACK edition kit of Jagdpanzer Hetzer Mid. 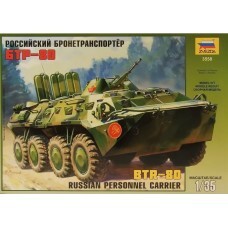 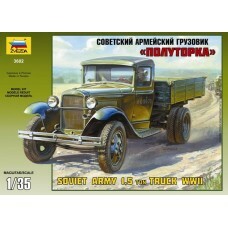 Production 1/35 scale.plastic parts: EduardNo. 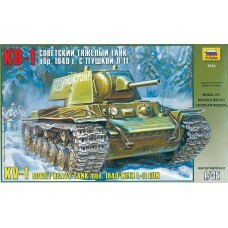 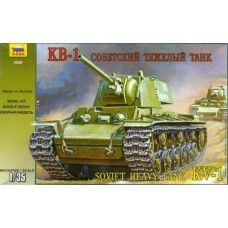 ..
FactsBrand:	ZvezdaTitle:	KV-1 Soviet Heavy Tank mod.1940 with L-11 GunScale:	1:35Released:	2007 | Re..
FactsBrand:	ZvezdaTitle:	Soviet Heavy Tank KV-1Scale:	1:35Released:	2007 | Initial release - new too..
FactsBrand:	ZvezdaTitle:	German Heavy Halftrack L 4500 R MaultierScale:	1:35Released:	2012 | Rebox (..